We started our business giving healthcare organizations access to traveling psychiatric and operating room nurses and technicians. Since that time, we have continued to expand our services and geographic footprint to meet the changing demands of the healthcare industry. Today, our network has grown to include more than 30 local offices in major markets across the U.S. and four national divisions: Travel Nursing, Travel Allied, Direct Hire and Advanced Practice. We place a variety of nursing, therapy and imaging, and physician assistant professionals in facilities coast to coast. Our clients include a diverse collection of healthcare facilities across a variety of clinical settings, including hospitals, home health, outpatient, skilled nursing, educational and correctional facilities. Supplemental Health Care is a pioneer in the development of workforce solutions across multiple care settings. With the industry leading Vendor Neutral PLUS solution, we combine the benefits of a custom VMS with the benefits of a traditional MSP to reduce the time to fill for critical roles, provide bill rate management, and we offer incredible customer service from our dedicated account management teams. Headquartered in Park City, Utah, we are proud to have earned The Joint Commission’s Gold Seal of Approval and to be the only healthcare staffing company quality certified by the Studer Group. 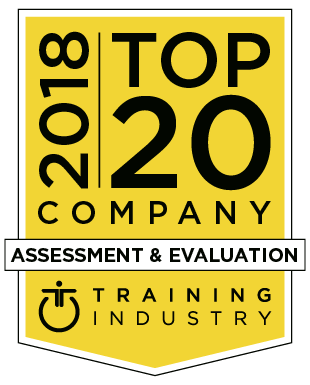 In 2018 we were awarded Best of Staffing for both Talent and Client, an honor given to less than 2% of staffing companies in North America. We were using DISC and our biggest challenge was a lack of support in terms of training and access to reports. As a team, we wanted to be better at using and implementing the DISC tools. Initially, our primary focus was to implement Extended DISC® training throughout the company, and not just in the interviewing process, but in the coaching process. We are pleased to say that this is now happening. Our intent was to create a culture where we have the most meaningful connections we can with the people who surround us. This common language has now become part of the fabric of our culture. Training is key, as is giving everybody the opportunity to learn what it is and how to use it. We have also found that follow-up is extremely important when they can see this coming from leaders. From a learning perspective, having Extended DISC® built in immediately into our new learner path and during onboarding, has been very impactful. From the very beginning, a new hire sits down with a next-level manager and completes the Work Pair Assessment. It outlines individual pro les, areas where two people are aligned, and areas where we may have some challenges. Then the next phase is going to complete the team report. This is all to know yourself, know others and make better connections. The concepts behind the training promote an understanding of not only the particular roles that we ll, but also the individual style of the team. You want to put people where they are going to be most successful in their natural versus their adaptive styles. A favorite story involved a team call. After attending the DISC training, we had a C-Style manager jump on the call very animated, exercising and building new muscles that he had developed when he learned that a majority of the members on the call were I-Styles. It has also given us a language to understand each other when someone makes a mistake. You can then raise your hand and acknowledge it and then get back into the game. Recently, I’ve heard someone share, “My I-Style was in overdrive.” In essence, this story has repeated many times over within Supplemental Health Care and has improved our mission to facilitate the delivery of quality healthcare coast to coast. To see the complete case study, please download it at the link below.